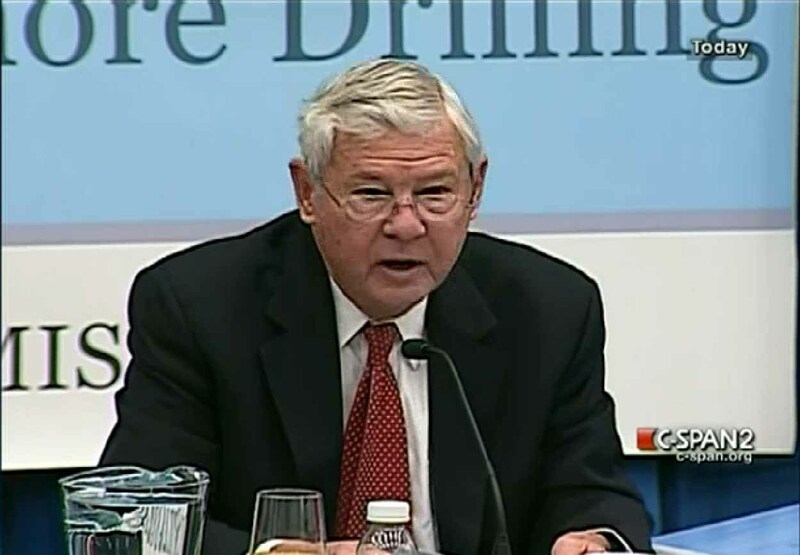 Today at a meeting of the Oil Spill Commission meeting in Washington, retired Senator and Commission Chairman Bob Graham questioned DOI’s competency in collecting federal funds for leases on federal or tribal lands across the board. Citing both the mishandling of finds from the BIA trust, as well as the inappropriate influence of DOI income on offshore lease decisions, he tipped his hand and indicated his preference that the U.S. Department of the Treasury is a better place to receive the royalties from leases on U.S. federal and tribal lands. His point was related to the need to avoid conflicts of interest in decision making when analyzing the sale of oil and gas leases. But then when discussions returned to the views of staff and the full Commission, it became clear that reform at DOI was focused solely on leasing for offshore waters and that their recommendations did not look to onshore oil and gas or other revenue generating leases, for example those for mineral rights. What is lacking is an examination of internal conflicts that exist within DOI in a general sense. After all, the U.S. Fish and Wildlife Service is located within DOI and is responsible for the protection of U.S. wildlife resources, including even select marine mammals such as manatees and sea otters. And DOI regularly works to balance the comments of the USFWS when conducting leases on U.S. lands held, for instance, by BLM. Does that process work well, or is it too flawed and in need of revision, thereby showing a systematic problem within the Department? Much dialogue at the hearings today focused on staff recommendations, and concerns of Commissioners, who are concerned about DOI’s seeming habitual lack of attention to comments provided by NOAA during the NEPA consultation process as it related to oil and gas sales. The analysis would be improved if there was a critique of whether economic or environmental concerns, or an appropriate balance of both factors, tend to rule the day when DOI provides leases for right to U.S. owned natural resources. Is it that DOI habitually downplays the importance of ecological concerns? Or is it a cultural bias of decreased attention being paid to comments coming from agencies outside of DOI such as NOAA, which resides within the Department of Commerce? When contemplating reorganization within DOI and the oil and gas lease process understanding the pros and cons of voices stemming from within DOI bureaus as compared to comments from outside of DOI is crucial information if optimal recommendations for future oil and gas lease processes are to be made. An accurate depiction of the role of DOI in lease decisions in a general sense would have provided a useful lens to look through as the Oil Spill Commission considers the specific quirks of leasing in offshore waters. However, if the Commission does unearth an improved process for how DOI should consider environmental information when it reviews lease proposals, but fails to expand the recommendation to a systematic DOI-wide change, it would do a disservice to the American people who funded the multi-million dollar Commission budget. And as importantly, it would exacerbate the oddities of how on-land, near-shore and deep-water leasing decisions are being made. Especially given the realities of changing drilling technologies, such as in Alaska when oil companies are proposing to essentially constructing new gravel islands to conduct their drilling activities from, thereby putting their drilling application into one type of review process for land-based drilling, even though the directional drilling proposed would extract the oil and gas resources from offshore locations, a holistic view of oil and gas development is needed. To look broadly is not to step beyond the Commission’s mandate, but rather to use this window in time to optimize the public policy process in a rational way that the public and industry can see as logical and systematic. If we only examine how the balancing of environmental, economic and safety concerns are addressed in deep-water drilling offshore, while ignoring other oil and gas permitting processes within DOI, is to further exacerbate the current system where best practices are applied to only some areas of the nation, leaving others with a sub-optimized leasing and oversight regime. The National Oil Spill Commissioners deliberates on preliminary findings related to the root causes of the BP/Deepwater Horizon disaster and options to guard against and mitigate the impacts of future spills on Thurs., Dec. 2nd (9:00 a.m. to 5:00 p.m.) and Fri., Dec. 3rd(9:00 a.m. to 4:00 p.m.) at 1777 F St. NW in Washington D.C. The author is a scientist by training and the owner of W.H. Nuckols Consulting, an environmental policy firm. Does the System of Subcontractors in the Oil and Gas Industry Invite Finger Pointing? Back on August 25, 2010 I testified before the President’s Oil Spill Commission on August 25, 2010 in Washington, D.C. about subcontractors in the Oil and Gas industry, and whether this system which seems to invite finger pointing, is good for the United States. A clip of the testimony can be seen here.